Bleeding Cool has received an exclusive preview clip of the upcoming action thriller, Maximum Impact, in theaters on September 28, 2018. The movie, which stars Alexander Nevsky, Danny Trejo, Tom Arnold and Kelly Hu, has agents of the US and Russia teaming up to prevent terrorists from disrupting a secret summit. The action/comedy is directed by Andrzej Bartkowiak (Romeo Must Die, Doom) from a script by Ross LaManna (Rush Hour). 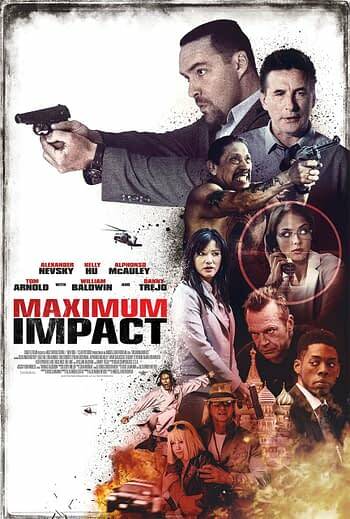 Maximum Impact will be released in theaters September 28, 2018, and On Demand and Digital Video on October 2, 2018.